This game-used helmet was worn by Robert Golden during the 2014 NFL season. 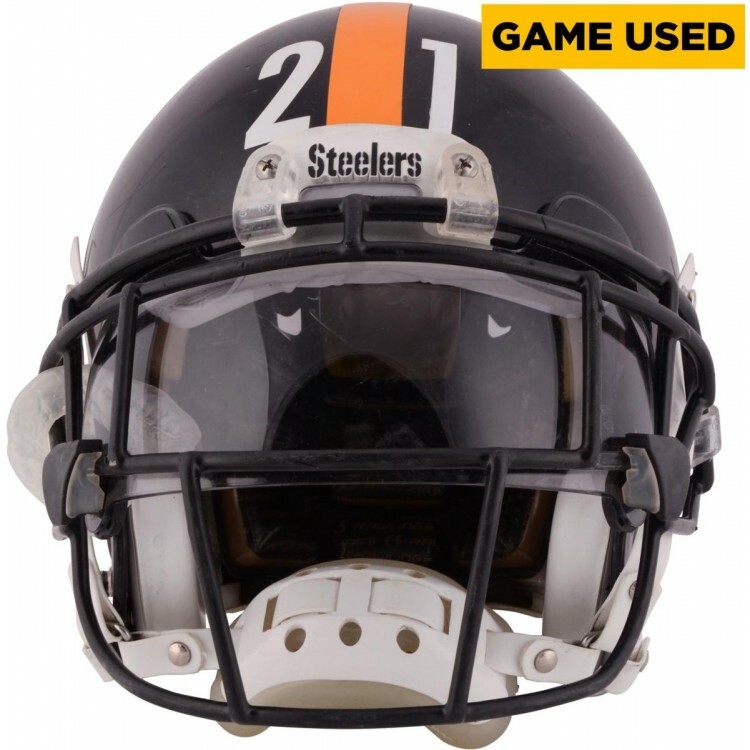 It is officially licensed by the NFL and comes with an individually-numbered, tamper-evident hologram from Fanatics Authentic. To ensure authenticity, the hologram can be verified online. This process helps to ensure that the product purchased is authentic and eliminates any possibility of duplication or fraud. The puck has been personally hand-signed by Reilly Smith and comes with a tamper-evident hologram fr..
Machine-Made Tufted. 100% Premium Nylon Pile. Made in the USA! New Orleans Saints 3'10"x5'4" NFL Tea.. The Washington Redskins logo cap display case is made of 1/8th inch thick acrylic. It features a bla.. In Super Bowl XVIII on January 22, 1984, the Los Angeles Raiders defeated the Washington Redskins 38.. The Houston Rockets wall mountable cap display case is made of 1/8'' thick acrylic with a black wood..
Commemorate Nathan MacKinnon as the 2014 NHL Calder Memorial recipient with this framed collage. Eac..
Imperial is proud to present its newest sofa to the team! The First Team Sofa replaces the retired P.. These game-used gloves were worn by Desmond Trufant during on 12/29/13 against the Carolina Panthers..